This is why we recommend non-generic products for our patients, and only sell high quality, brand- names in The Optical Gallery at The Eye Associates. 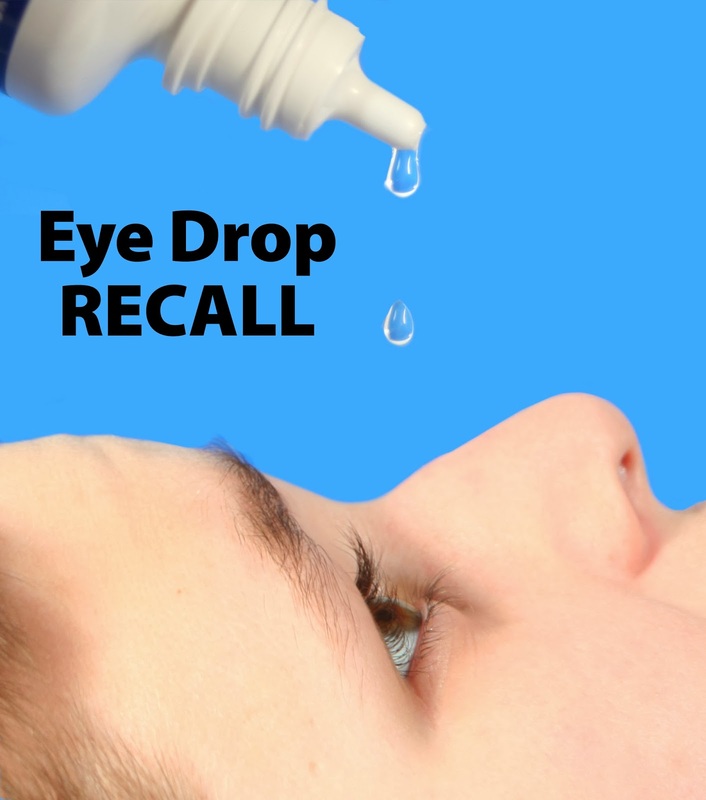 Altaire Pharmaceuticals issued a voluntary nationwide recall of 9 lots of Carboxymethylcellulose Sodium 0.5% Ophthalmic Solution, 30 mL, a non-prescription (OTC) drug product used to relieve dryness of the eye. There have been no reports of adverse effects to consumers so far. However, due to complaints of mold found in the 30 mL bottles after use, concerns regarding the effectiveness of the preservative have prompted the recall. A product whose preservative may not be effective could lead to the use of a contaminated product which creates a potential risk for eye infection. • Lot # 12356, expiration date 09/2015, labeled for Target and CVS. Altaire Pharmaceuticals is initiating the recall as a precautionary measure. To learn more, visit the FDA website at: http://www.fda.gov/Safety/Recalls/ucm367559.htm immediately and return it to the place of purchase. People at high risk for glaucoma should get a complete eye exam every year. It is the second leading cause of blindness in the United States, and half of the people who have glaucoma don’t even know that they have it. The only way for you to know is to have a yearly comprehensive eye exam. 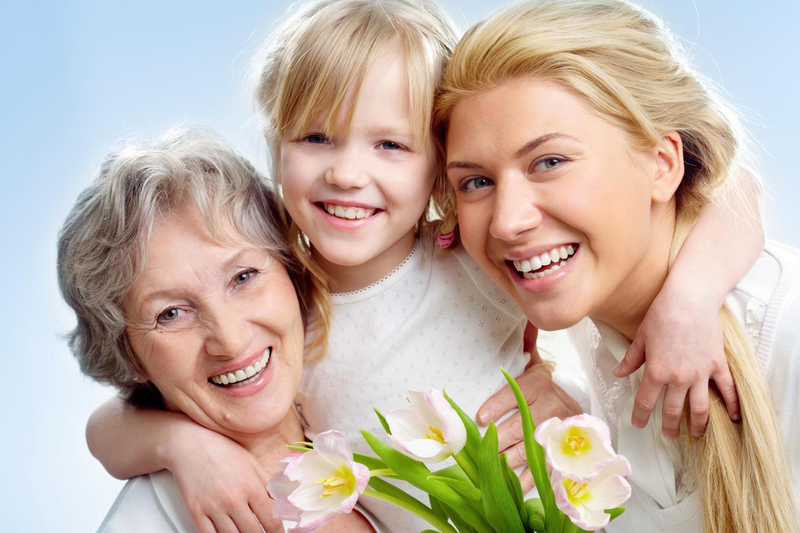 Make your appointment today for specialized glaucoma treatment in Sarasota. 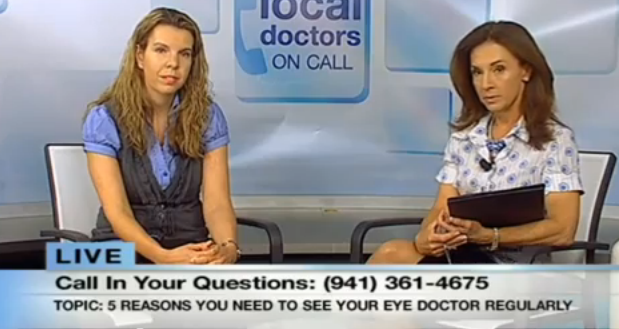 Dr. Jacqueline Burkhardt from The Eye Associates talks about the importance of early detection and treatment of Macular Degeneration. No…you can’t lose your contact lenses BEHIND your eye. We get this question all the time, but rest assured that it is not physically possible for the lens to go there. Most often, a soft contact has become folded and just appears to be lost. It is best to use lubricating drops to make the lens more pliable and easier to move. Be careful not to irritate your eye as you are trying to locate it. And of course, come in to see one of our doctors if you are having too much trouble finding it. Diagnosing glaucoma is not always clear cut and easy. The following are some of the tests needed to determine if you have glaucoma and need treatment to protect your vision. Tonometry: Tonometry measures the pressure (IOP) within your eye. Ophthalmoscopy: This diagnostic procedure helps the doctor examine your optic nerve for glaucoma damage. Visual Field Test: A visual field test that produces a map of your complete field of vision. This test will help a doctor determine whether your vision has already been affected by glaucoma. Pachymetry: Pachymetry is a simple, painless test to measure the thickness of your cornea (the clear front of the eye.) With this measurement, your doctor can better understand your pressure (IOP) reading and develop a treatment plan that is right for you. Glaucoma is called the ‘silent thief of sight’ because it slowly, painlessly and without symptoms steals away your sight. It is the second leading cause of blindness in the United States, and half of the people who have glaucoma don’t even know that they have it. The only way for you to know is to have a yearly comprehensive eye exam. Bradenton patients can set up their eye exam or an appointment for glaucoma treatment by filling out an online appointment form or by calling our clinic directly at 1-866-865-2020.